I know, I know, long time no hear from me. But hey, I was on a super book tour for Universal Alien, seeing wonderful Members of the Alien Collective in Very Good Standing all over the place. Plus I'm *cough* still working on getting Alien Separation done and to the Awesome Editor, so, I've been kind of busy. Speaking of the book tour -- we sold out of Universal Alien at Mysterious Galaxy. However, San Diego Area Peeps, don't despair if you didn't get a signed copy. Because I'll be back in January for the San Diego State University Writer's Conference on January 23-25, where I'll be teaching several workshops. And speaking of busy, there's lots that's been going on in the 'verse. And before we go to radio silence (yeah, yeah, again LOL), there's just a tonnage of things to catch all y'all up on. So let's get to all the rest of it, shall we? We shall! First up, some totally cool news over at Tor.com. 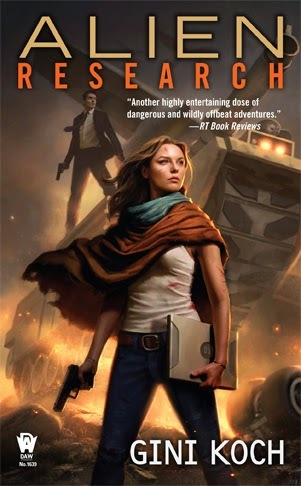 Barnes and Noble selected Universal Alien as one of their Top 10 Picks for December! And they're not alone. 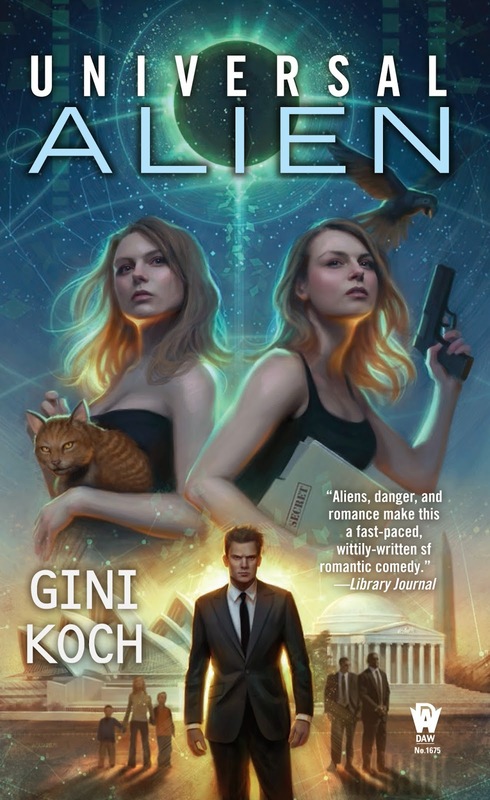 Check out some of the latest awesome reviews of Universal Alien over at Under the Covers, Alternative Worlds II, and Fresh Fiction. 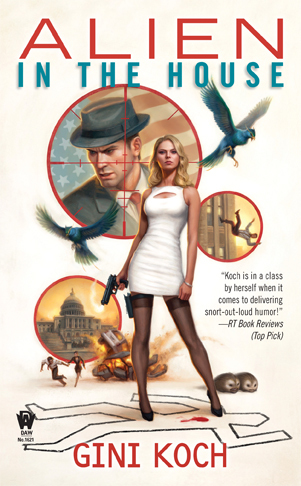 Then see what other December DAW releases, including UA, are out there at DAW Books Review. Then see what Lu's Buchgefluster had to say about Alien in the House and Alien Research. Yes, still in German, but Google Translate remains your friend! Then see what Alternative Worlds II thought of Alien Collective. 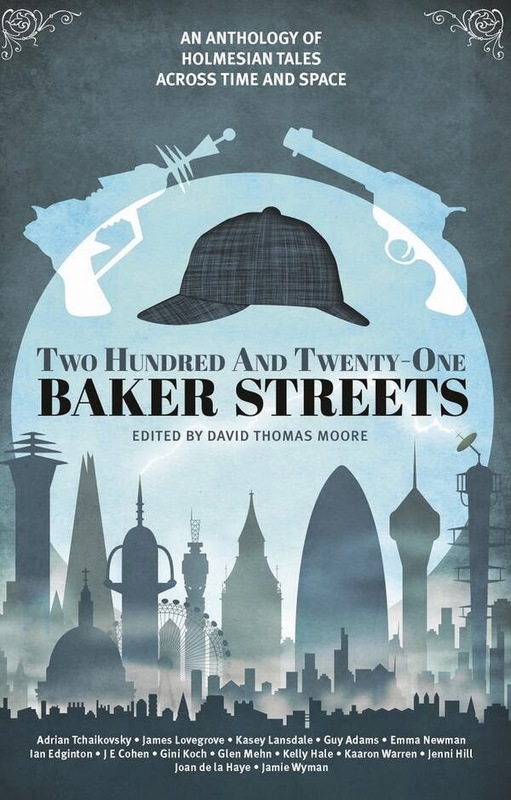 And then see what Bookshelf Bombshells thought of Two Hundred and Twenty-One Baker Streets. 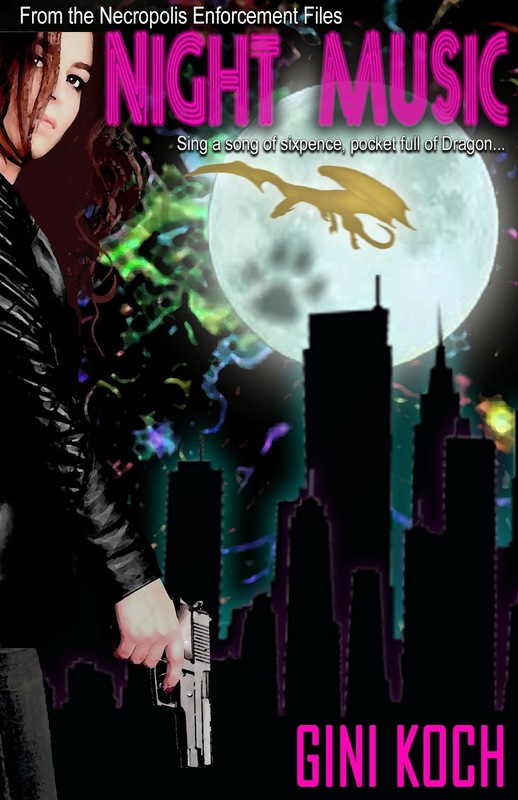 After all that review reading, head over to the Paranormal Cravings Shifters, Weres, and Supes event and find out some stats about Kitty. Then hit That's What I'm Talking About for their Mistletoe Madness Event, and find out what Kitty's New Year's Resolutions are. There's also a contest that's open internationally, so get entered to win! I've made the decision that my story in the Temporally Out of Order anthology is going to definitely be an Alien Series short -- and it'll be connected to the events Alien Separation. But if you didn't get in on the Kickstarter, what can you do? Well, you can still act like you got in! You can still get in on the Kickstarter by pre-ordering the three basic reward levels (ebook, paperback, and ebook/paperback duo) at the Zombies Need Brains online store. The Kickstarter backers (including those who get it at the online store) will get the anthology early, in addition to helping support the small press and some of the other extras (like a bookmark, etc) that will come with the Kickstarter edition. Such a deal! And, trust me, you want in on it. Up next we have a really cool thing -- Indie Bookstore Dog-Eared Pages has announced their top 15 indie authors for 2014...and I made the cut! 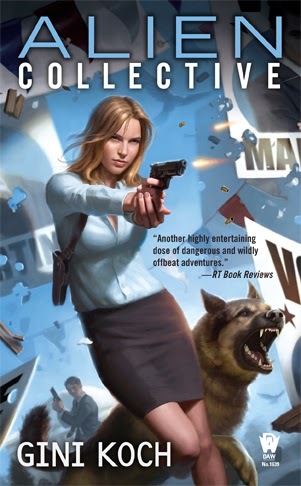 If you're looking for new authors and more reading material, I can heartily recommend everyone on the list, especially Sharon Skinner, Kris Tualla, and Alan Black (but you can't go wrong with any of them). Feeling the need for an auditory experience? Check out the Two Gay Geeks podcast where they talk about many things, my latest bookie wookie among them. 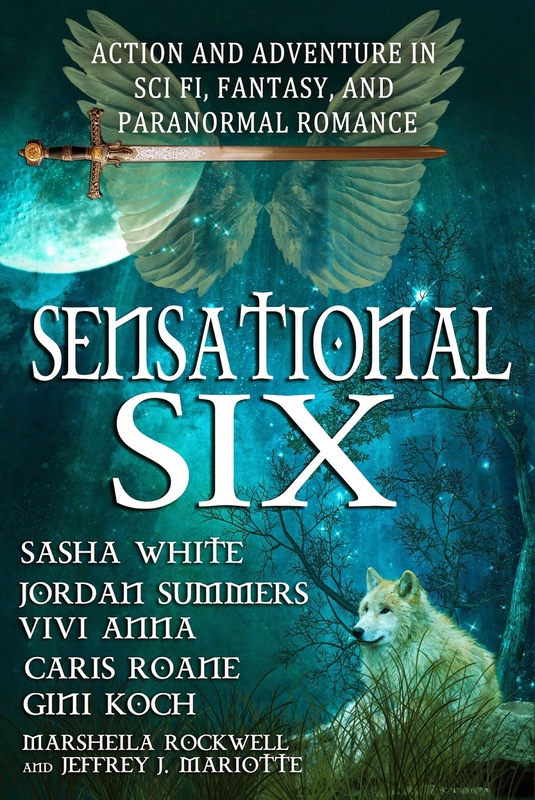 It's the last couple of days where you can get the Sensational Six boxed set for $0.99. So if you haven't gotten your copy yet, don't wait! Check out an excerpt from my part of the set, The Night Beat, over at fellow boxed set author Sasha White's blog. And now for some science! Check out what some folks at NASA are trying to create in Venus' solar space over at io9 -- Cloud City! (I dunno if it'll work. 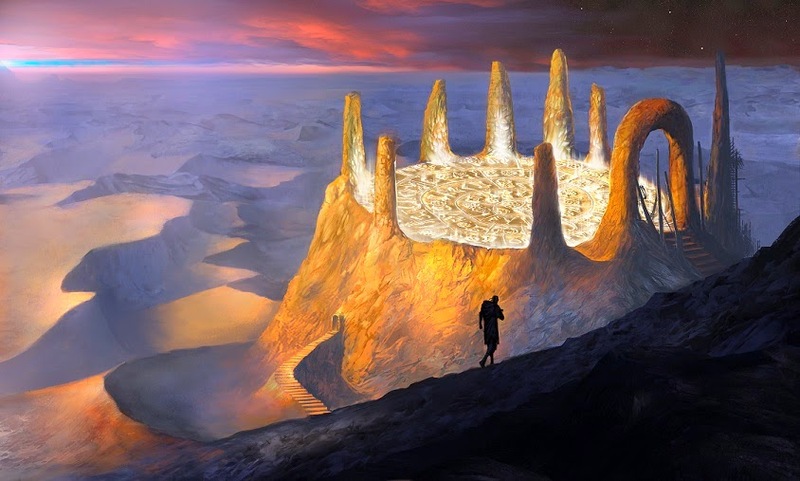 I see their idea and all I can think of is the Hindenburg, but...) Then check out the lengthy, but very interesting, Dark Matter discussion over at Space.com. Oh my, is that (finally) it for today? I think that it is. Well...almost. I just want to take a moment to once again thank you for being the best fans in the world. I hope for all of you the merriest and most wonderful of holidays, whatever holidays you celebrate. And if you don't celebrate a holiday at this time, celebrate the wonderfulness that is you. May your days be merry and bright, and may 2015 be as wonderful a year as you are and bring you not just what you want but what you need. So, until next year (barring something major happening :-D), let's be happy, healthy, and hopeful readers out there. 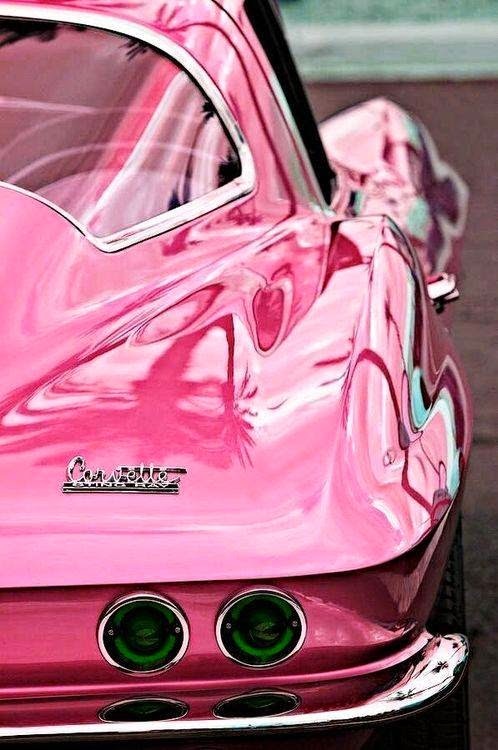 Peace out, my li'l gangstas, and I'll catch you on the 2015 flip side!